As a new home owner, you want to keep your house and yard in like-new condition for as long as you can. If you do periodic maintenance, you will ensure that your home stays as beautiful as the day you bought it. Let’s start at the top: maintenance of the roof and drainage system. A roof is a system of your home which is designed to last a long time, if you take proper care of it. Areas which require periodic attention include flashing, drainage waste vent stacks, shingles and gutters. To be sure everything is working as it should, you should have a professional roofer examine these areas every three years. FLASHING: Flashing is metal, plastic or rubber pieces which protect your roof wherever there is a join – between roof and chimney, between dormers and roof or in valleys where two different roof slopes meet. These pieces ensure that no water infiltrates those areas. Usually, metal and plastic flashing will last as long as your roof does and will not need replacing until replacing your roof. DRAINAGE WASTE VENT STACKS: These vents are the white pipes which protrude from your roof. They are designed to allow air to help your waste water flow without impediment. The vents are very durable, but the special flashing around them, called a “boot,” is not. Boots are typically made of rubber and extend from a seal around the base of the vent and under several rows of shingles. Sun and weather take a toll on these boots, and they typically will fail after about 5 years. If a boot fails, you will get water under your shingles, and may have roof damage or damage to your ceilings inside your home. If you have a roofer examine the boots every three years, he will be able to replace any faulty one before it causes a problem. 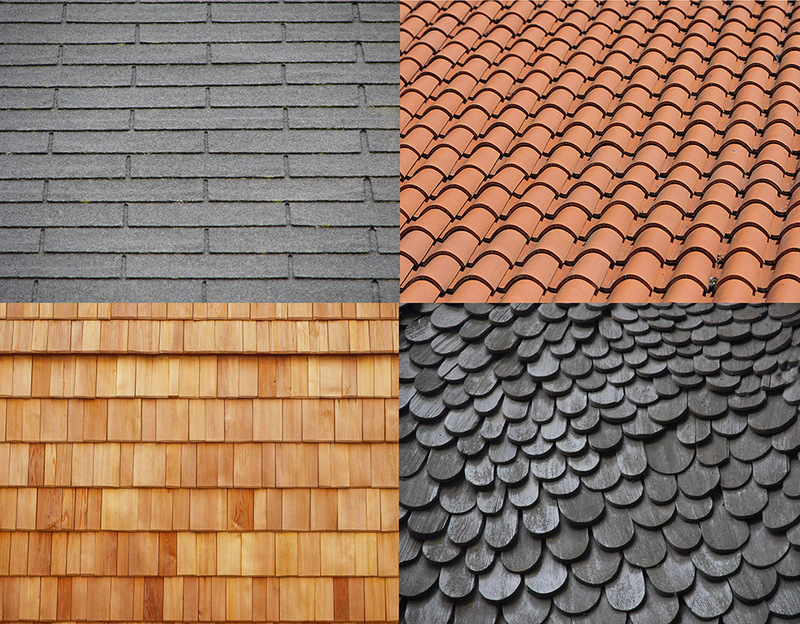 SHINGLES: Shingles, typically made from asphalt, slate, wood, metal or plastic, overlap and are designed to allow water to freely flow off your roof and into the rain gutters. Asphalt shingles, the most commonly used in America, will last between 15 and 20 years. As they weather and age, they will become brittle and begin to crack. That process signals you that it is time to replace the roof. Again, if you have a roofer examine the roof periodically, he will discover when the shingles are too brittle to function well and will need to be replaced. 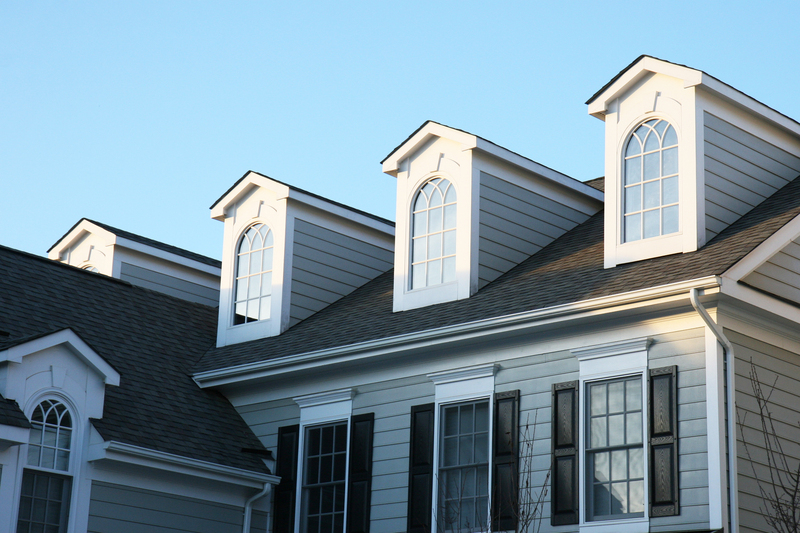 Another integral part of your roofing system is the gutters and downspouts. The rain gutters are the rain water evacuation system for your roof. Always keep them free-flowing – free of debris, ice and snow. Paying attention to the maintenance of these components will protect your home’s exterior as well as your foundation. When a gutter is clogged with debris, such as leaves, bird nests or tree limbs, rainwater overflows rather than drains. This drainage can crack your foundation! Keep the gutters clear! MESH: A mesh gutter guard attaches to your roof’s shingles and covers the gutter to prevent debris from entering. This guard has holes to allow rain to flow into the gutter. Small holes are better than large ones in this type of gutter cover. BOTTLE BRUSH: A bottle brush gutter guard is covered with bristles which resemble a round, nylon hair brush. The bristles fill the gutter to prevent debris, but water filters through them and drains to the downspout. REVERSE CURVE: This gutter guard bows upward to deflect debris, but has a small slit to direct water into the gutter. FOAM: A foam gutter guard fits into the gutter and blocks the debris from entering. NYLON: Nylon gutter guards also insert into the gutters, but do not attach to the shingles. In addition to preventing clogged gutters, you may need to do a few other tasks to keep your rainwater draining happily. While vinyl gutters never need painted, aluminum ones will need an occasional coat of paint. All other metals must be painted with rust resistant paint every 4 to 6 years. 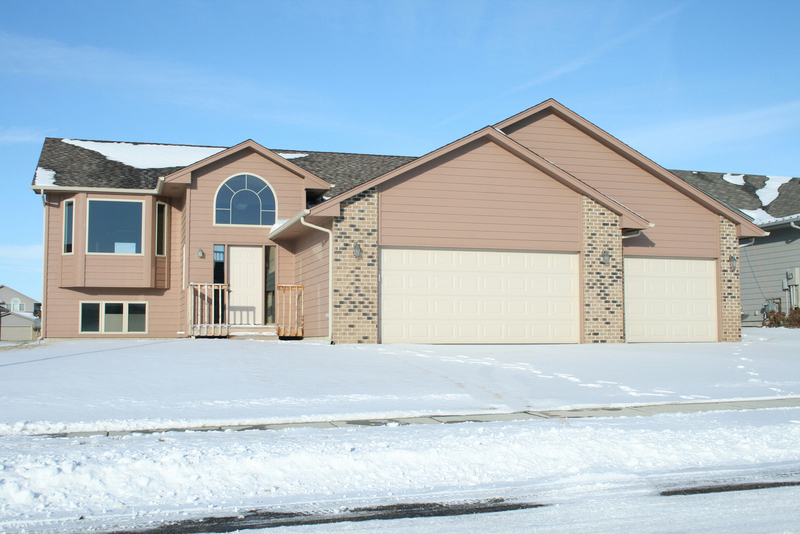 After every winter, do a visual survey of your roof and rain gutters to assure that snow and ice have not caused any damage or detachment from your home. Also check your downspouts for clogs and install drainage hoses to direct water away from your foundation. Everyone has one of “those” neighbors … you know, the ones whose gorgeous, lush emerald green lawn looks as if it popped right out of the pages of Better Homes and Gardens. Obviously they pay big bucks to achieve that level of lawn care, right? Great news – not necessarily! With some savvy and the right resources, you can also develop a lawn that is the envy of your entire neighborhood. It takes a little time, but you CAN do it! The important point to note is that nurturing your lawn into a thing of beauty is not just a summer activity. Throughout the year, you will need to take certain steps to achieve this. Let’s begin with the spring. Test-Thatch-Treat is the triple play for spring. First, to figure out where you’re starting, begin with a soil test. You can pick up a soil tester at your local extension service or nearby nursery. Some nurseries even offer this for free. The results of this test will tell you the alkalinity or acidity (pH) of your soil. The best soil pH for healthy grass is around 6-7. If the pH of your soil is not correct, your nursery or garden center can help you in determining the proper treatment to apply. Generally, dolomite lime will raise the pH and make the soil more alkaline. Sulfur will lower the pH to make the soil more acidic. After you’ve determined the pH and before you apply any treatment, do a bit of dethatching. Unless you bag your grass or use a mulching mower, over time, dead grass builds up and packs into the turf. If the thatch remains, it will create a barrier which prevents air, water and nutrients from reaching the soil. Use a metal-tined rake to pull these dried grass clippings out and aerate the lawn. After dethatching, you might also want to run a plug aerator over the area. This will pull out small plugs of dirt and allow the soil to breathe. The final spring activity is to treat. If your pH is in the normal 6-7 range, the best thing you can do is to put down a pre-emergent weed herbicide and a few weeks later, a slow-release nitrogen-based fertilizer. If you must modify the soil pH, do that several weeks before you do the pre-emergent herbicide. A final spring note: if you have bare spots, this is also a great time to spread some grass seed; the seed will germinate and take root before the searing hot weather of summer. Summer is mostly a lawn care maintenance time. If you gave your grass a healthy start in the spring, it should be looking rather robust by the summertime. One part of summer maintenance is applying a weed and feed product. 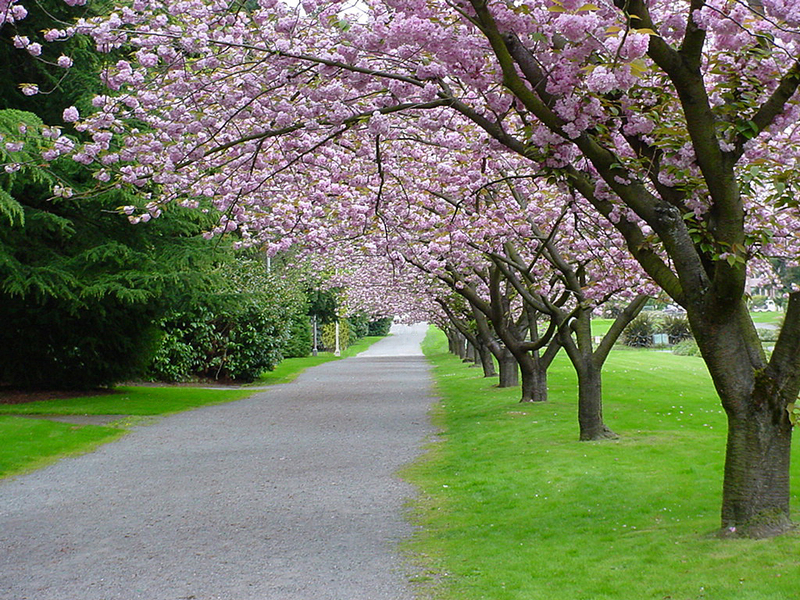 Slow-release fertilizers work best in the summer; they do not burn the lawn as readily. Always apply summer weed and feed before rain, or water after application. This will also help to prevent burning. The weed element during the summer fertilizing actually kills existing weeds, but it will also make your lawn more vulnerable if there is a dry spell. Did you know that lawns can get stressed? It’s true. The summer heat, especially in southern US states, is brutal to your lawn’s health. 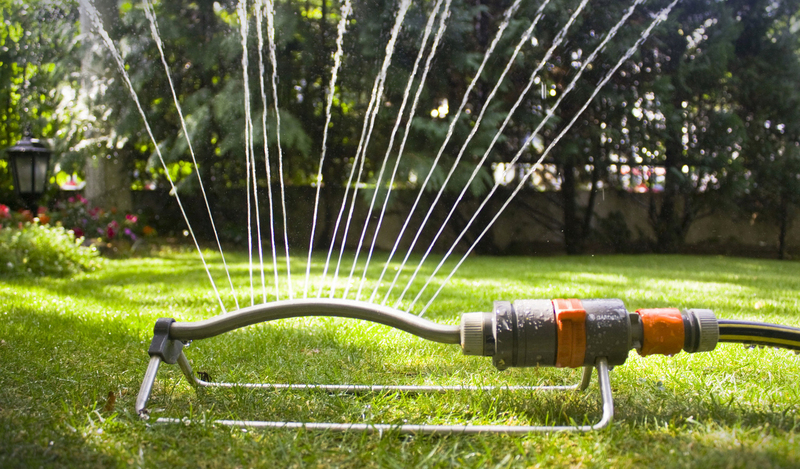 Part of our summer regimen will include alleviating that stress with watering. A normal lawn requires around an inch of water weekly to stay healthy. If rainfall is minimal, you will need to supplement this water requirement with sprinkling. A gentle watering over a prolonged period is better than a short, fast watering session. The hydration needs to reach the roots. In the summer, water thoroughly every 5 to 6 days, unless it’s extremely hot and dry. Another aspect of nurturing a healthy lawn is to mow correctly. Always do your trimming BEFORE you mow. That way, the trimmed pieces will get cut more finely when you mow and be less likely to produce thatch. 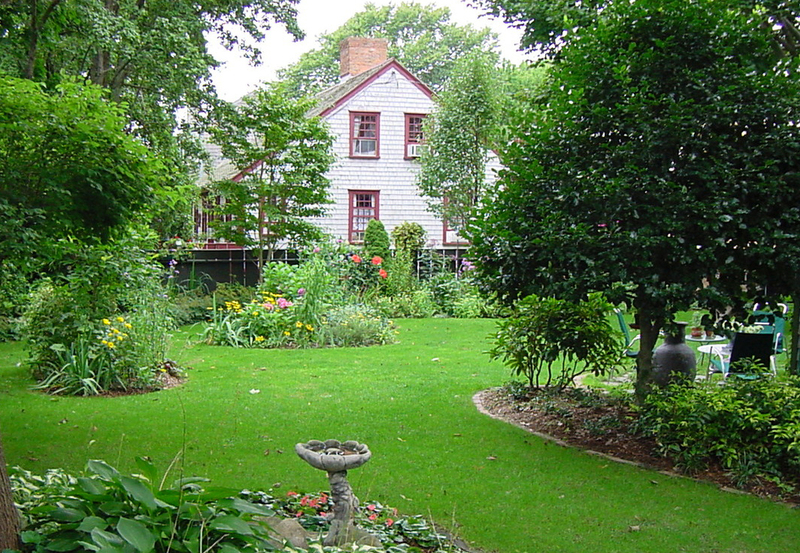 Also, many homeowners cut their lawns too short. Keep your grass at about 2 ½” high. This height will discourage weed germination and will protect the lawn from drying too much. While it’s tempting to lower the blade to reduce your mowing frequency and save time, resist that urge and allow your grass to thrive. The final summer task for a lovely lawn is to treat for pests. Rather than using a fertilizer that has built-in bug control, buy a separate bug control product that is catered to the type of critters your lawn has, such as grubs. For summer, if you see brown spots appear, you may need to spot treat. Pet waste can cause such spots, but so can grubs or fungus. The best approach is for you to snap a photo on your phone and take the photo to your extension office for them to diagnose it. Never take a sample in unless they request it, as you do not want to spread any contamination. 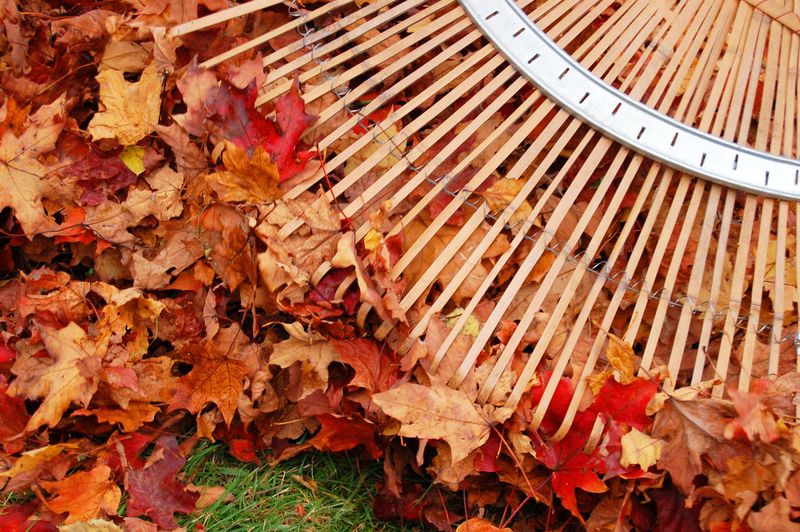 The fall season of lawn care begins with a good raking to collect leaves and branches. If you are ambitious, instead of bagging the leaves or putting them out for collection, try creating a compost pile. Leaves which have composted add nutrient-rich elements back into your landscape beds and plantings. Next, in early fall, apply a fall fertilizer, which is high in potassium rather than nitrogen. It’s time for another aeration in the fall. This creates holes for the top-dressing. Top-dressing is a mixture of sand, compost and loam, which you brush into the aerated lawn holes. Do not leave any top-dressing on the grass, as it will smother the lawn and will not allow sunlight to penetrate. The final fall task is re-seeding any bare spots. Since the ground is still warm, the seed will germinate and root without the stress of summer heat. There’s no a lot to do in the winter. But take note of two things. First, be sure to winterize any gas-powered equipment with a gas stabilizer. Second, mark your walks and driveways so that when you do snow removal you will not damage your lovely lawn. If you follow these lawn care tips, your grass will look progressively better with each passing year. Then YOU will be the envy of all your neighbors!